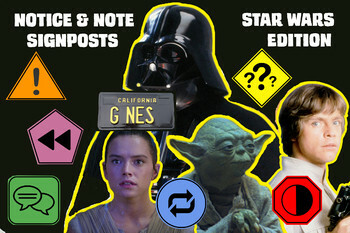 Your students will LOVE these one-of-a-kind Notice and Note signpost posters because they contain popular characters from the Star Wars franchise. 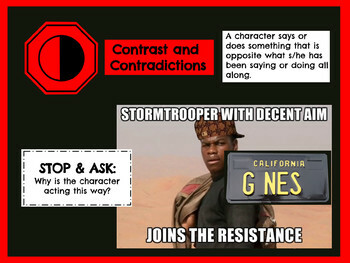 CONTRAST & CONTRADICTION, such as stormtrooper Finn helping the Rebels. 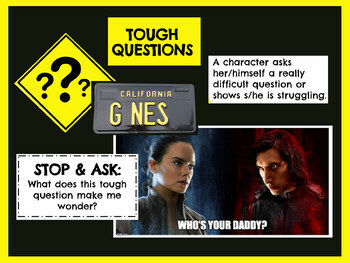 the signposts by relating them to characters they know and love. 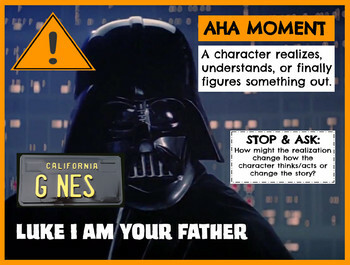 Print as 8.5 x 11 or enlarge as posters! At 4.44, the fours will be with you, always.